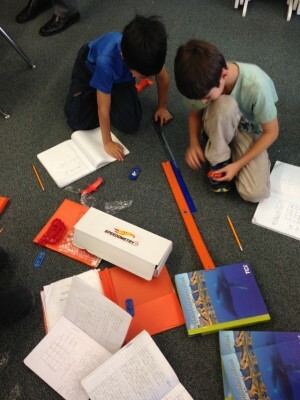 Mattel Hot Wheels Speedometry program is helping improve fourth-grade STEM testing. In 2014 Mattel and the USC Rossier School of Education introduced Speedometry, an innovative program that uses cars, tracks and household items to make STEM (Science, Technology, Engineering and Math) learning fun and engaging. Since Speedometry’s launch, there have been many exciting developments paving the way for the program’s success. Speedometry has been introduced to hundreds of thousands of teachers, key education officials, parents and administrators in Denver, as well as Austin, Chicago, Detroit and Phoenix. Speedometry by Mattel Hot Wheels. The Speedometry curriculum, created by USC Rossier, is now available in both English and Spanish, and a number of schools have adopted Speedometry into their science programs. 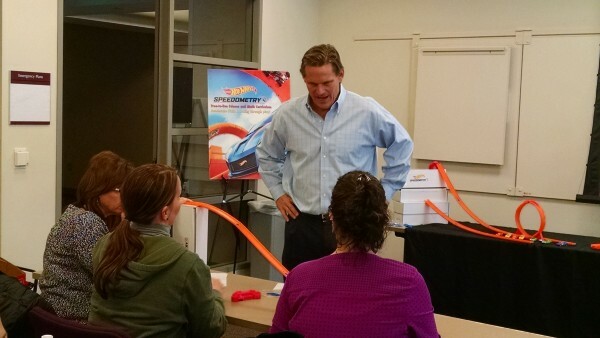 To date Mattel has distributed more than 23,000 free Speedometry kits (includes 40 cars, loops and over 100 feet of track) to teachers who have requested them, through the Speedometry website. Speedometry leads to improvements in student knowledge, interest and positive emotions. Also, girls’ negative emotions about science and mathematics were found to decrease as a result of Speedometry. Students who experienced Speedometry out-performed who had not experienced Speedometry on a test of science and math content knowledge. Students who experienced Speedometry showed greater engagement, interest, and positive emotions about the lessons than students who experienced traditional math and science lessons. There was no significant difference in the findings based on gender, English learner status, or special education eligibility. Implementing Speedometry was associated with increases in teachers’ confidence to teach inquiry science skills. Stay tuned for more exciting Speedometry updates in the coming months. In the meantime, please spread the word and make sure the 4th graders in your life are using Speedometry! To learn more, visit hotwheels.com/Speedometry.